The year was very interesting with many exciting events and milestones. My son is in college at South Carolina State University. Life is good. Although there were many activities, I decided to list the top five of the year below. The Tracking Network has just released some exciting new data additions related to health behaviors, community design, and climate change. The Tracking Network currently provides health behavior data on the number and percentage of adults who smoke. 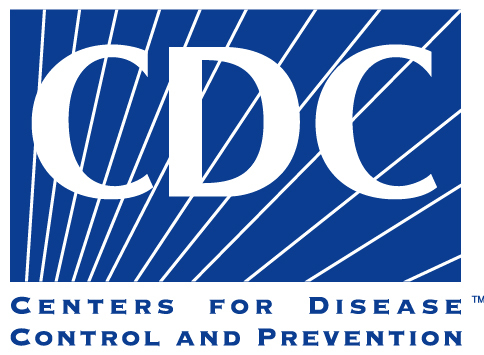 CDC plans to add data on other health behaviors to the Tracking Network soon. Data on Access to Parks is also new to the Community Design module of the Tracking Network. Parks are an important part of a community. This data will provide a better picture of the access people have to places where they can participate in physical activity. These data can be used to understand how improving access to healthy community places, such as parks, may increase physical activity among community members. CDC has added data on extreme heat days and events to the Tracking Network’s Climate Change module. These data will allow you to look at temperature, heat index, and number of days to define extremely hot days and extreme heat events. "I want to thank President Obama for the honor he bestowed on me and the confidence he placed in me four years ago this month when he announced my nomination as Administrator of the Environmental Protection Agency. At the time I spoke about the need to address climate change, but also said: “There is much more on the agenda: air pollution, toxic chemicals and children’s health issues, redevelopment and waste-site cleanup issues, and justice for the communities who bear disproportionate risk.” As the President said earlier this year when he addressed EPA’s employees, “You help make sure the air we breathe, the water we drink, the food we eat are safe. You help protect the environment not just for our children but their children. And you keep us moving toward energy independence…We have made historic progress on all these fronts.” So, I will leave the EPA confident the ship is sailing in the right direction, and ready in my own life for new challenges, time with my family and new opportunities to make a difference." In December 2012, EPA finalized changes in Clean Air Act standards for boilers and certain incinerators, providing important public health protections. While providing flexibility to industry for implementation, the standards will avoid up to 8,100 premature deaths, prevent 5,100 heart attacks and avert 52,00 asthma attacks per year in 2015. In December 2012, EPA established the annual health standard for fine particle pollution (PM2.5), including soot, at 12 micrograms per cubic meter. Fine particle pollution can penetrate deep into the lungs and has been linked to a wide range of health effects, including premature deaths, heart attacks and strokes as well as acute bronchitis and aggravated asthma among children. In December 2011, EPA finalized the first national standards for mercury, arsenic and other toxic air pollution from power plants. These new standards will avert up to 11,000 premature deaths, 4,700 heart attacks and 130,000 asthma attacks every year. In June 2011, EPA finalized the Cross-State Air Pollution Rule, which protects the health of millions of Americans by reducing power plant emissions that cross state lines and contribute to ozone and fine particle pollution in other states. The rule will help to prevent 13,000 to 34,000 premature deaths, 15,000 nonfatal heart attacks, 19,000 hospital and emergency room visits, 1.8 million lost work days or school absences, and 400,000 aggravated asthma attacks. A federal court struck down this rule, but that decision is under appeal. Under Administrator Jackson, EPA strengthened the National Air Quality Standard for Sulfur Dioxide to better protect people’s health, especially those with asthma, children and the elderly. EPA estimates that meeting the new SO2 standard will prevent 2,300 to 5,900 premature deaths associated with exposure to fine particle pollution and 54,000 asthma attacks a year. American families will save over $1.7 trillion at the pump -- nearly $8,000 per vehicle, as a result of the Obama Administration's historic fuel efficiency standards and first ever greenhouse gas standards for cars and light trucks through model year 2025. The Administration’s actions will protect our environment while reducing America’s dependence on oil by an estimated 12 billion barrels, and, by 2025, reduce oil consumption by 2.2 million barrels per day – enough to offset almost a quarter of the current level of our foreign oil imports. In addition, the Administration set the first ever fuel efficiency and greenhouse gas standards for trucks and busses, which will save American businesses approximately $50 billion in fuel costs. 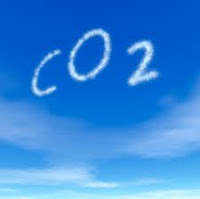 On December 7, 2009, the Administrator signed two distinct findings regarding greenhouse gases under section 202(a) of the Clean Air Act that established that the current and projected concentrations of the six key well-mixed greenhouse gases — carbon dioxide (CO2), methane (CH4), nitrous oxide (N2O), hydrofluorocarbons (HFCs), perfluorocarbons (PFCs), and sulfur hexafluoride (SF6) — in the atmosphere threaten the public health and welfare of current and future generations and that the combined emissions of these well-mixed greenhouse gases from new motor vehicles and new motor vehicle engines contribute to the greenhouse gas pollution which threatens public health and welfare. These long-overdue findings cemented 2009’s place in history as the year when the United States Government began addressing the challenge of greenhouse-gas pollution. EPA is working to restore and revitalize America’s waterbodies across the nation, including the Gulf of Mexico, the Everglades, the Chesapeake Bay and the Great Lakes. EPA Administrator Lisa P. Jackson served as chair of the Gulf Coast Ecosystem Restoration Taskforce, which released its final strategy for long term restoration for the Gulf Coast in late 2011. The Chesapeake Bay, as the largest bay in the U.S. and third largest in the world, is assessed as a $1 trillion resource. At the end of 2010, EPA received plans from states in the Chesapeake Bay region to meet the pollution diet goals the agency outlined as necessary for the protection of the Bay. Additionally, the Great Lakes provide some 30 million Americans with drinking water and underpin a multi-billion dollar economy. President Obama has proposed significant funding as part of his Great Lakes Restoration Initiative, the largest investment in the Great Lakes in two decades. In April 2011, the Obama Administration released a national clean water framework and reaffirmed its commitment to the health of our nation’s waters. The administration’s framework outlines a series of actions underway and planned across federal agencies to ensure the integrity of the waters Americans rely on every day for drinking, swimming, and fishing, and that support farming, recreation, tourism and economic growth. In June 2011, EPA announced a new federal partnership that aims to stimulate regional and local economies, create local jobs, improve quality of life, and protect Americans’ health by revitalizing urban waterways in under-served communities across the country. EPA took a number of steps to protect the public from harmful chemicals like lead, mercury and PCBs. Lead: Lead is a toxic metal that was used for many years in products found in and around our homes. In 2010 and 2011, EPA implemented and broadened its rule that requires the use of lead-safe work practice standards by the renovation, repair, and painting industries. Mercury: EPA has finalized rules to phase out or ban the use of mercury in a range of measuring devices (thermometers, barometers, etc.) and other products. Mercury exposure at high levels can harm the brain, heart, kidneys, lungs, and immune system of people of all ages. PCBs: EPA is also working to determine whether approved uses of PCBs should be limited or banned. PCBs are man-made chemicals that were used in hundreds of industrial and commercial products until they were banned in 1979 and can cause damage to people's immune system, reproductive system, nervous system, endocrine system in addition to other health effects. EPA set into motion a series of action plans which lay out concrete steps EPA intends to take to address the risks associated with chemicals commonly used in this country. So far, EPA has prepared action plans on ten chemicals: phthalates; Bisphenol A (BPA); long-chain perfluorinated chemicals (PFCs); penta, octa, and decabromodiphenyl ethers (PBDEs); short-chain chlorinated paraffins; benzidine dyes; hexabromocyclododecane; and nonylphenol and nonylphenol ethoxylates TDI and MDI. These chemicals are commonly used in everyday products that people can be regularly exposed to and have been linked to or known to cause a range of health effects from reproductive and developmental problems to cancer. EPA has identified a list of over 100 chemicals that will be screened for their potential to disrupt the endocrine system. Endocrine disruptors are chemicals that interact with and possibly disrupt the hormones produced or secreted by the human or animal endocrine system, which regulates growth, metabolism and reproduction. Testing is underway on a subset of these chemicals and additional tests will be ordered in the future. In order to ensure the public has as much information as possible about the health and the environmental impacts of chemicals; EPA has made public the identities of more than 590 chemicals associated with health and safety studies that had been claimed confidential by industry. EPA continues to expand the information available to the public on chemicals. EPA has continued work to redevelop contaminated properties, boost local economies and help create jobs through EPA’s brownfields program. In 2011, EPA’s brownfields program leveraged 6,447 jobs and $2.14 billion in cleanup and redevelopment funds. EPA under President Obama has also invested $1 million evaluating the feasibility of developing renewable energy production on Superfund, brownfields, and former landfill or mining sites. Plan EJ 2014, released on September, 14, 2011, is EPA’s roadmap for considering how pollution may isproportionately impact communities, particularly low-income, minority and tribal communities. By considering environmental justice in agency rulemaking, permitting, enforcement, and community-based actions, EPA is working to protect the health of every American. EPA has continued to amplify new voices in the environmental conversation, including faith-based groups, the Boys and Girls Clubs of America, the Girl Scouts, the Green Sports Alliance, the Moms Clean Air Task Force, Moms Rising, and Mocha Moms, tribal colleges and universities, Hispanic serving institutions and historically black colleges and universities. Most legal challenges to CARB’s cap-and-trade regulations have come from environmental justice organizations that support the act’s mandate to cut emissions but favor a carbon tax or command-and-control style regulation of emissions over a cap-and-trade regime. The consensus within the environmental justice community is that cap and trade favors industry, is subject to gaming, cannot be adequately monitored, and increases the already disproportionate burden on poor communities and communities of color from industrial pollution. AAEA disagrees with this assessment. The program can be leveraged if community groups participate in the program. AAEA is registered in EPA's Acid Rain & the RGGI Greenhouse Gas Reduction Programs. Representatives of vulnerable communities should register in the programs and leverage offsets to assure reductions of pollutants in their communities. Offsets are voluntary greenhouse gas emission reductions made by entities not otherwise required to participate in the cap-and-trade program, such as a farmer who plants trees that he would not have planted otherwise. The environmental justice community wants to force CARB to consider taking a more draconian approach to reducing emissions. The larger environmental community, however, is by no means united in opposition to cap and trade. Several national groups, including the Environmental Defense Fund, the Natural Resources Defense Council and The Nature Conservancy, support CARB’s cap-and-trade approach. In June, a state appellate court upheld CARB’s overall blueprint for implementing the Global Warming Solutions Act, known as the 2009 Climate Change Scoping Plan. The purpose of the scoping plan was to outline strategies for reducing emissions. Among the recommendations in the plan was the development of a cap-and-trade program. An environmental justice group known as the Association of Irritated Residents (AIR) challenged the scoping plan on grounds including non-compliance with the act. Most of the arguments AIR raised were technical: CARB did not consider the maximum technologically feasible reductions, as required by the act; CARB failed to apply a cost-effectiveness standard, as required by the act; and CARB failed to include direct regulation of agriculture and industry in the scoping plan. The court, however, found that the California legislature had granted CARB broad discretion in implementing the act. The court further found that CARB’s scoping plan was based on extensive technical expertise and review, as to which the court afforded deference. Courts most likely will find that CARB was given broad discretion in writing the cap-and-trade regulations and, thus, will defer to the agency. A state court recently had that opportunity because two environmental justice groups brought a legal challenge to the cap-and-trade regulations, heard in November. The case, brought by Citizens Climate Lobby and Our Children’s Earth Foundation, challenges the offset protocols adopted by CARB as part of the cap-and-trade regulations. Offsets are voluntary greenhouse gas emission reductions made by entities not otherwise required to participate in the cap-and-trade program, such as a farmer who plants trees that he would not have planted otherwise. Offsets are permitted under the act, but they must result in reductions that are in addition to emission reductions already required by law or that otherwise would occur under normal conditions. This is referred to as the additionality principle. The suit challenges whether the offset protocols adopted by CARB meet the additionality requirement. Offsets are a significant issue because electrical generators and utilities in particular expect offsets to be a key tool in meeting compliance requirements. Several California investor-owned utilities—Southern California Edison, Pacific Gas & Electric Co., San Diego Gas & Electric and Southern California Gas Co.—have intervened in support of CARB. The Environmental Defense Fund, an advocate of cap and trade and offsets, also intervened in support of CARB, as have entities who hope to profit in the offsets market. If CARB is prevented from using offsets, compliance with the emissions cap will become more difficult. A decision either way by the court almost certainly will be appealed, so it might be a long time before this issue is resolved. The other pending challenge is an administrative proceeding before the Environmental Protection Agency brought by, among others, the Center on Race, Poverty & the Environment. People living within six miles of facilities regulated under cap and trade are disproportionately poor and people of color. The plaintiffs contend that if greenhouse gas emissions from these facilities were directly regulated, there would be a reduction in co-pollutant emissions (particulate matter, nitrogen oxides and volatile organic compounds), which threaten public health. The complaint argues that co-pollutant emissions could increase as a result of the use of offsets and, thus, cap and trade disparately and adversely affects communities of color. The Mickey Leland Energy Fellowship (MLEF), sponsored by the U.S. Department of Energy's Office of Fossil Energy, is a 10-week summer internship program that provides opportunities to students who are pursuing degrees in science, technology (IT), engineering, or mathematics (STEM majors). The goal of the program is to improve opportunities for minority and female students in these fields, but all eligible candidates are encouraged to apply. Candidates who are selected will have the opportunity to work on focused research projects consistent with the mission of the Office of Fossil Energy. During the 10 weeks, students will work at one of several locations. At the conclusion of the internship, students will attend a "Technical Forum" where they will present their research project and tour several technical sites located nearby (the location of the technical forum changes every year). Candidates will receive a paid stipend during the program, in addition to approved transportation expenses to and from the internship site and technical forum location. The MLEF program allows students to gain valuable experience in DOE/FE mission-related research programs, and offers an "inside view" of federal employment which encourages students to consider future opportunities within the Department of Energy. Approved travel costs to the Technical Forum for presentations and awards. 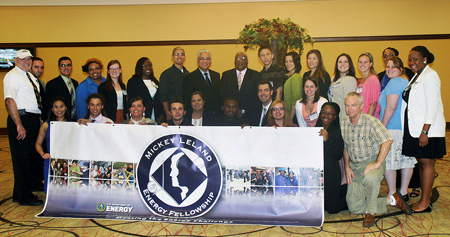 On August 8, 2000, then-Energy Secretary Bill Richardson renamed the Office of Fossil Energy's Minority Education Intiative the Mickey Leland Energy Fellowship. The Secretary stated that the ceremony to honor the late Congressman from Houston - who died on August 7, 1989, in a plane crash - would be a way to "remember a great American who dedicated his life to expanding human potential." The Secretary also said that he "could find no better way to honor his memory than to endow his name on a program that will elevate the opportunities for future generations of minority students." State and local agencies are invited to attend an EPA webinar devoted to the 2012 revisions to the National Ambient Air Quality Standards for particulate matter. EPA announced these revisions on December 14, 2012. Strengthening the annual health standard for fine particles will better protect public health against this pollutant’s dangerous effects, which include heart attacks, respiratory illnesses, and premature death. EPA invites state and local agencies to participate on Wednesday, December 19, 2012 from 2:00-3:30 PM EST. After a presentation, EPA technical experts on health science, permitting, and other aspects of the standards will be available to answer questions. Participants will be able to listen and send in questions through the webinar. Instructions on how to submit questions can be found once the webinar begins. Contact Rick Copland for IT questions related to the webinar registration. Eugene W. Grant is the Mayor of Seat Pleasant, Maryland. Mayor Grant has improved the infrastructure of the city by repaving streets, upgrading sidewalks, and installing new storm drainage systems. Mayor Grant has secured a twenty acre site as a Brownfield designation which now provides for a potential of a multimillion dollar development. In addition, Mayor Grant has worked to construct a major fifteen year pending Storm Drain Project. 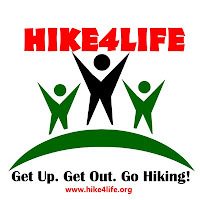 Hike4Life is a hiking organization. Their primary mission is to engage the African-American community and other minorities in hiking and outdoor sports. The objective, is to dismiss the idea that these activities are designed for non-African-Americans , as many of our own people have expressed. 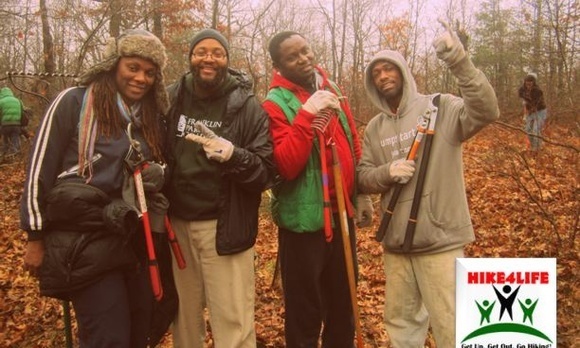 Hike4Life is an inclusive organization but they feel that it is very important for people of color, to re-establish a connection to the outdoors and to nature. As with all exercise, the health benefits of hiking are various and many. From casual Nature Walking to intense hiking trails with numerous elevations. Hiking is both mental and physical, and has the ability to reduce chronic health risks. One step at a time, you can decrease depression and increase self-esteem. 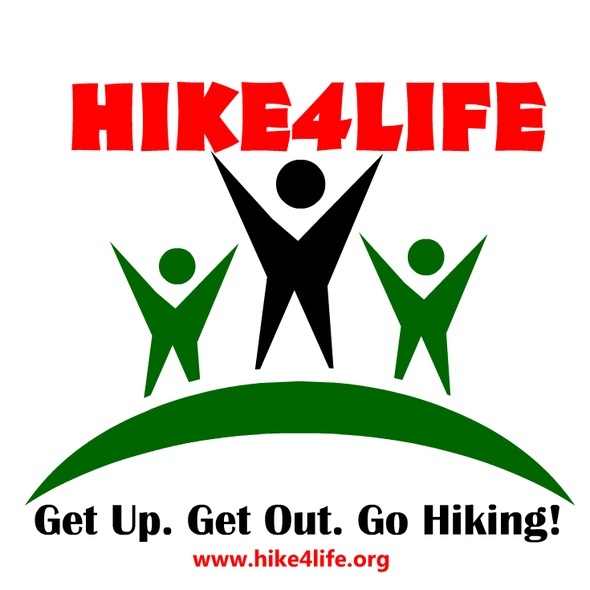 Hike4Life is dedicated to make the outdoors experience enjoyable and fun and a communal way to improve your well-being while burning calories, improving the cardiovascular system, strengthening muscle and a re-establishing a connection with nature. 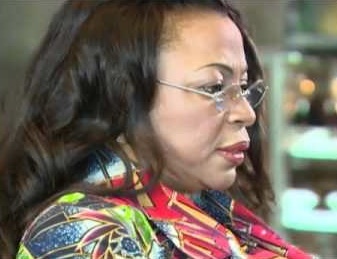 Nigerian oil tycoon Folorunsho Alakija, 61, is reportedly worth at least $3.2 billion. Alakija is the founder and owner of Famfa Oil, which owns a 60 per cent interest in OML 127, an offshore oil field that produces roughly 200,000 barrels of oil per day and is worth an estimated $6.44 billion. Also a fashion designer and philanthropist, Alakija is married and has four grown sons, as well as one grandchild. She owns at least $100 million in real estate and a $46 million private jet. Born into a wealthy Nigerian family, Alakija started out as a secretary in the mid 1970s at the now defunct International Merchant Bank of Nigeria. Several years later, she quit her job and moved to London, where she studied fashion design. She later returned to Nigeria and launched her fashion line, Supreme Stitches, which caters to upscale, high-society women. While she was building her name as a fashion designer, Alakija in 1993 applied for an Oil Prospecting License -- an expensive permit that allows for oil exploration in a specified area. The Nigerian government granted her request and allocated a 617,000-acre block of land to Alakija for oil exploration -- but she knew nothing about finding and extracting oil. So in September of 1996, she appointed Star Deep Water Petroleum Limited -- a subsidiary of Texaco -- to act as a technical adviser for her business. In 2000, Star Deep Petroleum determined that Alakija's land contained an excess of one billion barrels of oil. Alakija's sons now run Famfa Oil and her husband, Modupe Alakija, is the chairman of the company. She recently purchased a $102 million property at One Hyde Park in London, as well as a Bombardier Global Express 6000 jet, which she bought earlier this year for $46 million. We admire U.N. Ambassador Susan Rice's energy investments because blacks own virtally no energy infrastructure and resources in the United States. At least through her investments, Rice serves as a good role model for others who might want a stake in America's energy future. Although these are very modest investments in the multi-trillion dollar energy sector, it still provides an excellent example for other African Americans in gaining an ownership stake in energy companies. Rice's personal net worth—estimated in 2009 to be between $23.5 million and $43.5 million—is invested in Canadian oil producers, pipeline operators, and other energy companies. 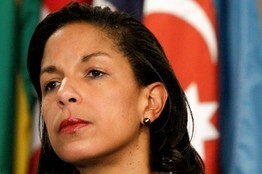 Financial disclosure reports further show that Rice has between $300,000 and $600,000 invested in TransCanada, the company that is seeking the permit from the State Department to build the Keystone XL Pipeline (shortcut) from Edmonton, Alberta, Canada to Port Arthur and Houston, Texas. Traditional environmentalists will oppose her nomination to be Secretary of State (if she is nominated) because of her fossil energy investments, particularly TransCanada Corporation. AAEA, through its parent the Center for Environment, Commerce & Energy, is seeking an ownership stake in the pipeline and is working with its partner, S.L. Siebert Management and Construction, Inc to get pipeline construction contracts for portions of the Texas line. 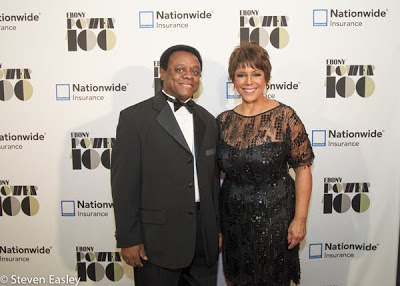 The Ebony Power 100 Gala at Lincoln Center was the most impressive event I have ever attended. And it was my first red carpet. 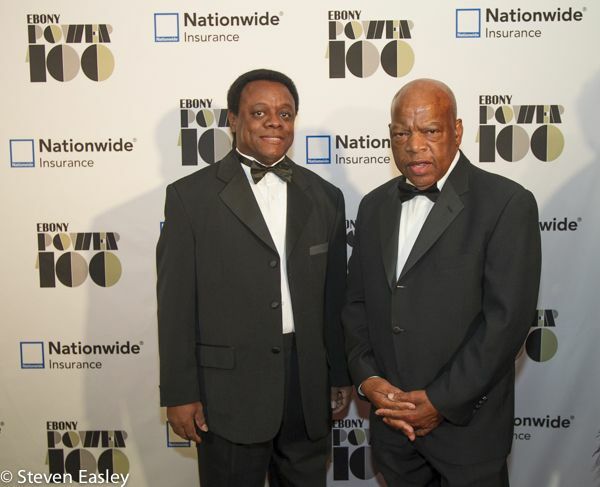 Although Ebony has issued its Power 100 list before, this was the first time they held a gala for the honorees. I had a ball. I arrived early at Lincoln Center and met Crystal Montgomery, Executive Assistant to the Editor-In-Chief. A couple of weeks before the event, Crystal sent an email requesting a picture of me and I just happened to be in Oceanside, California visiting friends during a break between Compton-To-Catalina Program trips. I wanted to do a studio shot but Crystal was on deadline so Almena Mozon (Godmother to my son, Sandy) took some great shots with her camera. One of those shots was used in the magazine. Anyway, Crystal was very busy with preprogram logictics. When I went up the elevator to the venue, I signed in and proceeded to walk the red carpet. The photographers were snapping pictures and the official Ebony photographer called me over to say my name into his camera. Later on the red carpet, I was photographed with Congressman John Lewis, Johnson Pubishing Chairman, Linda Johnson Rice, Chief Executve Officer Desiree Rogers, and Editor-In-Chief Amy Dubois Barnett. The reception was elegant and there was a nice view of Columbus Circle and W. 59th Street. Many of the Ebony Power 100 (List) attended the event and I met a number of them. It was interesting to meet George Lucas of "Star Wars" fame. He was there with his girlfriend Melody Hobson. Former Chairman and CEO of Time Warner Richard Parsons was holding court near a column in the middle of the reception area. Tom Joyner was working the room. I wished Trayvon Martin's parents good luck with the upcoming 2013 trial of George Zimmerman. I grabbed a few copies of the magazine off of chairs as I was leaving the dinner. This was the weekend of Hurricane Sandy and although the subway was free, it was taking so long that someone suggested that it might be faster for me to walk back to my hotel, which I did. It was one of the best evenings of my life. Thank you Ebony.